[Jakarta, LTTW] Recently the world lost one of the most beloved men of science who constantly questions the universe. Stephen William Hawking passed away at the age of 76 in Cambridge, United Kingdom. The cosmologist was known for his work on black hole, furthering general relativity, and quantum gravity. Perhaps one of his biggest contributions to mankind is how he successfully reintroduces natural and formal science to the “ignorant majority”—making black hole and big bang as parts of the popular culture. In 1988, A Brief History of Time was published to the world and placed itself as one of the bestselling book of all time. In the book that stood for 237 weeks on Times of London bestseller list, Stephen Hawking explains numerous concepts such as universe, space and time, black holes, and even time travel. Hawking concludes in the 256-page book; that by principle everyone including philosophers, scientists, and just ordinary people can be able to take part in the discussion of why we and the universe exist. He was indeed an author; tackling universe, inviting us to question and answer it together. An “artist” who shows us the wonders of physics and what it can bring to the world. One of the best minds of our time, Hawking had an exceptional ability to visualize complex concepts and ideas of physics into his head and simplify it. As a scientist he held the honorary Fellow of Royal Society of Arts (FRSA), received the Presidential Medal of Freedom from the U.S.A, and was the Lucasian Professor of Mathematic (a position widely known to scientists as the Newton’s Chair, supposedly the most prestigious “chair” in the science world) at the University of Cambridge. He also had several other publications, with The Grand Design (2010) as one of his last books he co-authored. Behind the brain there is the persona of a man. Sitting on a wheelchair with his head slightly tilted, he spoke with a speech-generating device to verbalize everything in his mind and answers any questions. A Briton who had to suffer amyotrophic lateral sclerosis (ALS) from 1963 at the age 21 that progressively paralyze him. The doctor even predicted that Hawking would only have two years to live since the diagnosis, but as we all know, he had lived and contributed for decades before finally passed away. The iconic scientist was also known as a loving family man with a penchant for humor. He once said that it would not be much of a universe if it wasn’t home to the people you love. Hawking’s children, Lucy, Robert, and Tim remembered him as a man with inspiring brilliance and sense of humor . Some others will also recall him from his humor, which he also acknowledged. “I have developed a desire to make the most of each an every minute. Keeping an active mind has been vital to my survival. 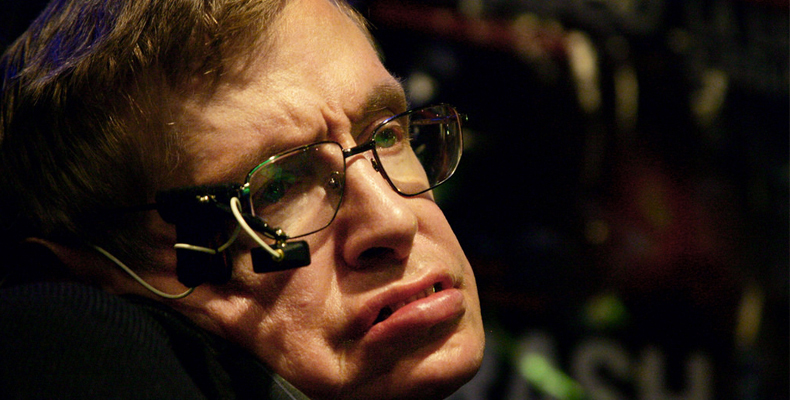 As has been maintaining a sense of humor,” said Hawking in the documentary Stephen Hawking: A Brief History of Mine. Becoming one with popular culture, Hawking also arrange a time traveller’s party, transformed into a cartoon on the popular television show The Simpson, and even played poker with Isaac Newton and Albert Einstein in Star Trek: The Next Generation. The man who was born on Galileo’s death and died on Einstein’s birthday was all that he can be; a cosmologist, theoretical physicist, an author, a family man, a husband, a dad, a grandfather, a brother, a teacher, a student, a curios and critical character, a persistent person, and a humorous man who try to make sense of the universe. Farewell Professor Hawking, we wish you a thrilling journey into the eternal that perhaps would lead you to countless amazing discoveries. Such a lovely person, salute to Mr. Stephen. Thank you Max, i didn’t see it before. RIP Mr. Hawking!